Community Arts Partnership’s annual application process for our Community Engagement Programme is now open. 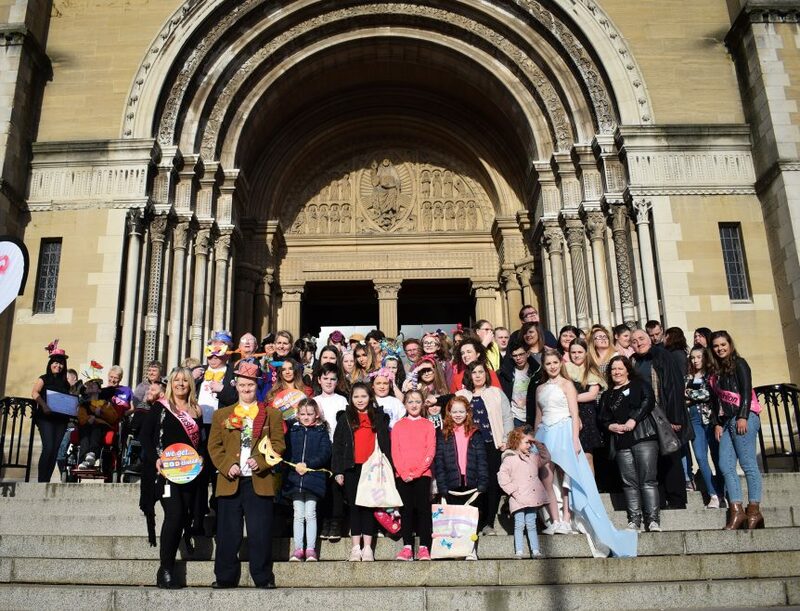 The Community Engagement Programme, open to community groups right across Northern Ireland, is extremely wide ranging, making available free of charge, workshops in film-making, animation, carnival arts, ceramics, the ever popular eco-friendly Trash Fashion, visual arts, music, dance and drama. CAP especially encourages applications from communities in areas experiencing high levels of deprivation or who feel that they are marginalised and facing greater challenges in life. The programme offers participants workshops facilitated by highly skilled professional artists. We bring the workshops to participants, conducted in a familiar environment in a way which is accessible, friendly challenging and fun. Over the last 18 years, over 1,400 community groups, and many tens of thousands of people, have participated in our creative programmes. We insist that access to the Arts is a fundamental right and so our aim is to remove as many barriers as possible to getting creative, offering a fully-inclusive, fully-funded programme, at no charge to any community organisation which wants to apply. At CAP, we are always looking for new opportunities to understand how we can assist community organisations get CAPtivated by the arts. Our programme is of the highest quality; we consistently score top marks for our projects from our participants and we receive fantastic feedback from Arts Council of Northern Ireland assessors and from artists and facilitators supporting the projects. Our starting point is to help groups that don’t normally get artistic opportunities, especially in a period where funding for the Arts is in dramatic decline. We encourage any group from any community to apply, and we are particularly interested in areas where people feel marginalised or are experiencing deprivation. We would like to encourage groups to apply to this year’s Community Arts Partnership’s project programme. It’s a fantastic opportunity! Whatever your group’s focus: women, young people, older people, inter-generational, black and minority ethnic, intercultural, LGBT, mother and toddler, disability support or a new arts or drama collectives, CAP arts projects are here for you. If your group is newly established or you’re from a community centre with years of experience; if you want to try out something new or to develop your group’s experience of accessing, authoring and owning their art practice, CAP is offering an exciting opportunity to get together, to express yourselves and above all create and have fun. Our organisation has a range of projects, from literature and verbal arts in schools and communities, visual arts, sculpture, to carnival arts, animation and film, all delivered with CAP’s commitment to helping those who are most disadvantaged get access to artistic activities. Our projects are delivered with the highest standards of teaching combined with workshop programmes which are best practice in our field. If you need any assistance please contact Julianne at julianne@capartscentre.com or by phone on 028 90 923493. Thanks to our funders, principally the Arts Council of Northern Ireland, CAP is able to offer access to a considerable programme of projects but places are limited, so CAP suggests that groups apply promptly and correctly.